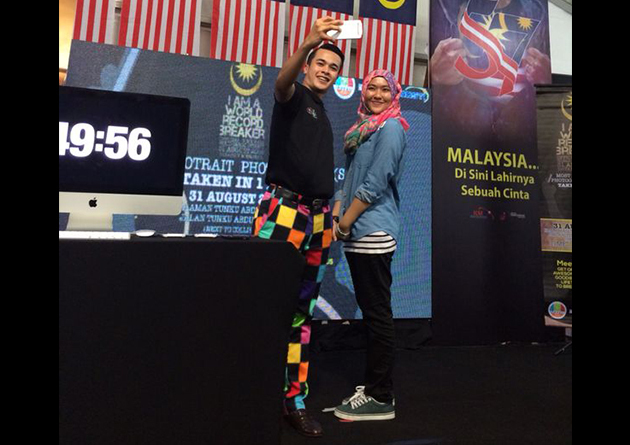 Malaysians from all walks of life gathered at the Science & Technology Village in Kuala Lumpur with the hopes of breaking the world record for the most self-portrait photographs (selfies) taken in one hour. The unofficial count of total photographs taken is 613, which is 192 more than the previous world record held by Canadian actress, Melinda Shankar in 2014. 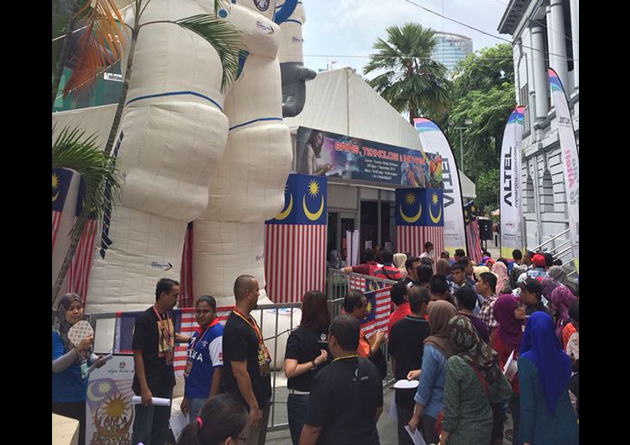 Approximately 700 people registered to take part in this momentous event organised by Yayasan Inovasi Malaysia (YIM), an agency under the purview of the Ministry of Science Technology and Innovation (MOSTI). CEO of YIM, Muhammad Aziph Datuk Mustapha, said the event proves that Malaysians are always positive, creative and are able to stand tall even when faced with a slew of challenges. 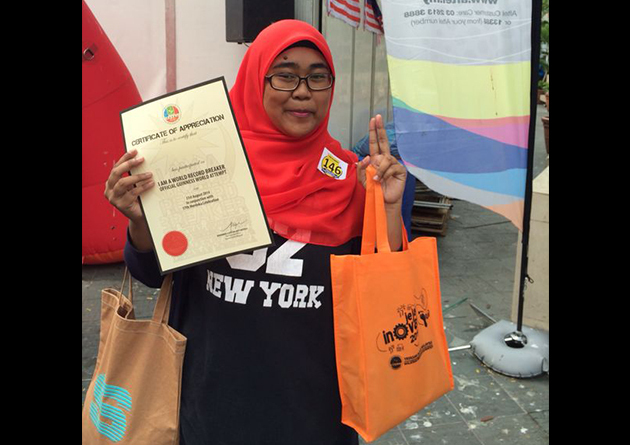 “I am personally pleased that we could help bring this Official Guinness World Record to Malaysia. 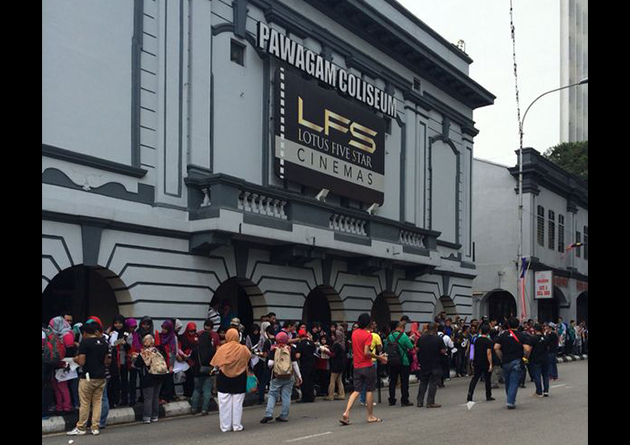 “The outpouring of love from all the participants proves to me that Malaysians overwhelmingly love this beautiful nation of ours,” he added. Muhammad Aziph was inspired to oragnise this event when he was on a Malaysia Airline (MAS) flight in May and he picked up a TIMES magazine which reported that San Diego held the record for the most selfies in an hour. 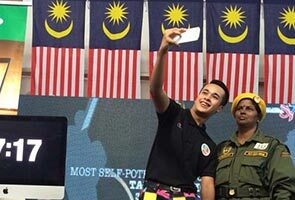 Meanwhile, Hazwan Noor, 20, a student at Politechnic Merlimau, Melaka, and an intern with YIM, was appointed as the ‘Selfie Guy’ for participants to ‘selfie’ with. He had to selfie with at least 10 people per minute in order to achieve the target of 500 selfies. “It was fun and also a good experience for me, especially when you have to give your best shot together with people whom you have never met before in your life. “I am proud to be part of this record-breaking attempt as it will definitely put my beloved country, Malaysia, in a more positive light globally,” the ever smiling Hazwan added. Another participant, Alan, who works in the fashion industry, was excited to participate in this event with his friends. “I like to take selfies, I am just waiting for my friends who like to take selfies to join me in this exciting event. “Joining this event will hopefully cheer people up,” he added referring to the recent tragedies besieging Malaysia of late. David and Karo, who hail from Poland, merely stumbled upon the event and decided to participate. “We were passing by, and we came to see what was going on, and they told us to stay and see how it ends,” said David. Participants did not go back empty-handed as they were given certificates and goodie bags for their contribution. Their names will also be submitted to the Guinness World Records officials to be published.